The mechanical properties of small volumes of materials such as thin films and patterned structures can be very different from the mechanical properties of those same materials in bulk. Many explanations of the mechanical behaviors of such small volumes have depended on simplified models of dislocation behavior. However, recent developments in dislocation modeling have made it possible to understand dislocation behavior in much more detail than before. 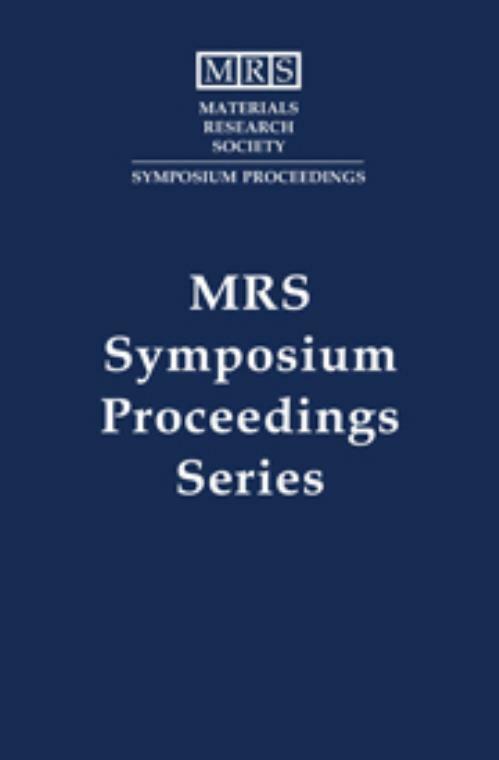 A wide range of topics is presented in these proceedings, including mechanisms of plastic deformation in heteroepitaxial, multilayered and polycrystalline thin films, as well as three-dimensional mesostructures such as epitaxial islands, semiconducting devices and microcrystallites. Experimental, theoretical and numerical simulations are addressed. Topics include: dislocation and deformation mechanisms in thin metal films and multilayers; discrete dislocations - observations and simulations; dislocations and deformation mechanisms in thin films and small structures; dislocations in small structures; dislocations and deformation in epitaxial layers; dislocation fundamentals -observations, calculations and simulations. Oliver Kraft Max-Planck-Institut für Metallforschung, Germany. Klaus W. Schwarz IBM T J Watson Research Center, New York. Shefford P. Baker Cornell University, New York. L. Ben Freund Brown University, Rhode Island. Robert Hull University of Virginia.